So long, Pete, it’s been good to know ya! Farewell to a great American. His life was so big and not just because he lived to age 94. He had careers multiple careers, and regular people would be proud to had any one of them. As a young man, he wanted to be a journalist (about which more later), but he had to settle for music. Oh, well. After dropping out of Harvard, he helped Alan Lomax to capture and document the roots of American music, including “race” and “hillbilly” music. He joined the show “Back Where I Come From” and performed with an integrated cast at the White House. He served in the military during World War II on Saipan in the Pacific. He founded two terrific folk music groups: The Almanac Singers and The Weavers, which had a chart-topping hit with Leadbelly’s “Goodnight, Irene” in 1950. He was blacklisted as a suspected communist. 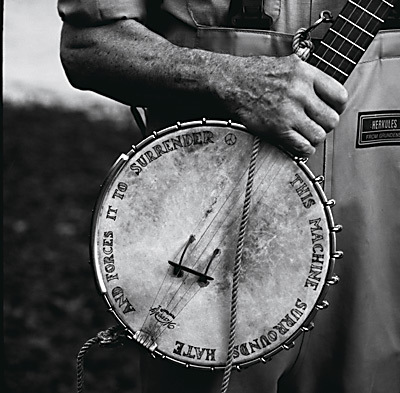 He popularized the five-string banjo. 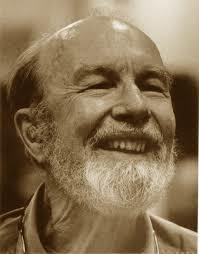 He served as a bridge from Woody Guthrie to Bob Dylan, Bruce Springsteen, and a host of others. He spearheaded the drive to clean up the Hudson River. All the way, he kept on raising hell and fighting the good fight. As I said, any one of those would serve as a claim to fame. Oh, newspapermen meet such interesting people! He knows the low-down (now it can be told). Killers plain and fancy, it’s really quite a bore. He wallows in corruption, crime, and gore. It’s a mess, meets the test. It’s wonderful to represent the press. Now, you remember Mrs. Sadie Smuggery. She needed money for a new fur coat. To get insurance, she employed skullduggery. She up and cut her husband’s only throat. She chopped him into fragments, she stuffed him in a trunk. She shipped it all back yonder to her uncle in Podunk. Now, newspapermen meet such interesting people! It must have startled poor old Sadie’s unc. Oh, a newspaperman meets such interesting people! I’ve met the gal with million-dollar knees. Just where the point was I could never see. Yes, I’ve met Capone and Hoover, and lots of other fakes. I’ve even met a genius who swallows rattlesnakes. The richest girl who could not bake a cake. Now, newspapermen are such interesting people! They all got tired of patches on their pants. They organized a union to get a living wage. They joined with other actors upon a living stage. When they know they’ve got a people’s fight to wage. All together fits the bill. It’s wonderful to represent the Guild. Oh, publishers are such interesting people! Their policy’s an acrobatic thing. They claim they represent the common people. It’s funny Wall Street never has complained. To working folks for readers, and big shots for their dough. Now, are publishers are such interesting people! It could be press-titution, I don’t know. What a headache, what a mess. Let’s give three cheers for freedom of the press.